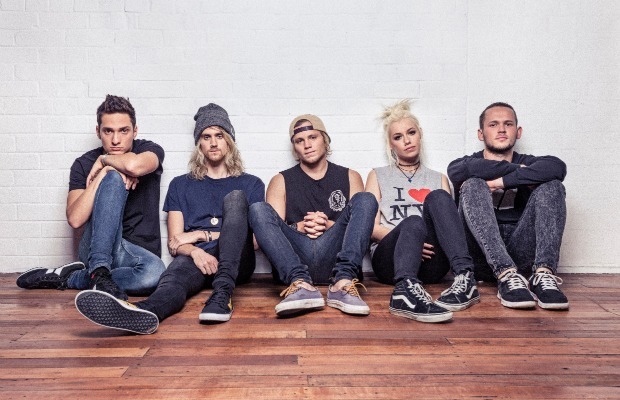 Tonight Alive were supported by The Gospel Youth and ROAM. ROAM were energetic and passionate, and it was clear that they loved engaging with the crowd. I hadn’t heard of them up until then, but I really enjoyed their drive and have since listened to more of their songs. As one of my favourite bands as a young teen, it was an absolute joy to have the chance to see Tonight Alive perform live. The QMU’s Qudos was the perfect venue for this gig as it provided a level of intimacy that is often lacking in larger venues. Jenna performed with such tangible joy and energy that it’s impossible to deny how passionate she is, not only about her music but also about her fans. She struck a great balance between more nostalgic tracks – a nod to older fans such as myself – and newer music, too, and the way the whole band interacted with the audience felt incredibly personal; Jenna has a great ability for making you feel like everything she is singing and saying is for you. Her message was inclusivity and a push for change, which in the current age of protest and uprising was incredibly poignant and reminded me of the solace Tonight Alive gave me as an anxious teen. Everything about the concert was positive and left me feeling elated. I don’t think anyone left that night without a sense of camaraderie and a smile on their face. Pop punk bands like Tonight Alive restore some faith in the scene amidst its current turmoil, and I am particularly grateful for that.